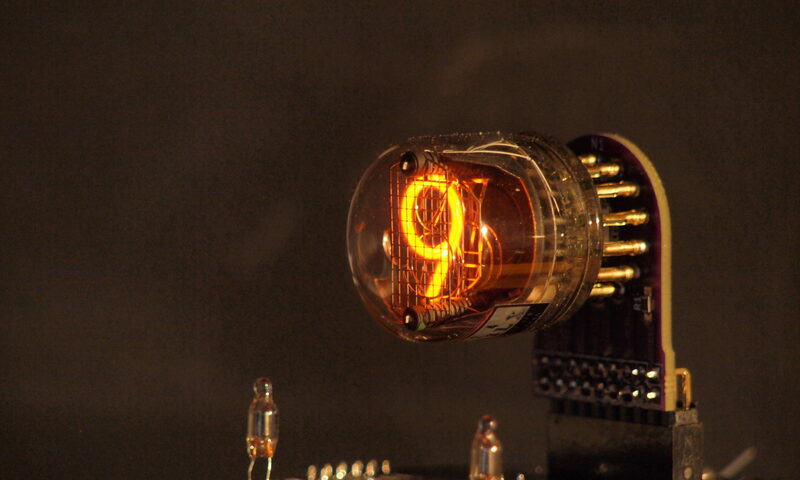 The Rodan-Okaya GR-836 is a large top-view nixie tubes display two symbols. The symbols, as far as I can tell, are for ‘power’ and ‘on’. The tube is the same size as the CD27, and so was presumably intended to form displays with that tube. This particular tube is ‘out-gassed’, meaning that the seal has been compromised so the neon has leaked out and the atmosphere has leaked in. For this reason it is not possible to light it up. If anyone has any further information about this tube, I would love to hear about it.